Elder O. Vincent Haleck was sustained a member of the Second Quorum of the Seventy of The Church of Jesus Christ of Latter-day Saints on April 2, 2011, at age 62. At the time of his call, he was serving as president of the Samoa Apia Mission. Elder Haleck received a bachelor degree in advertising and marketing from Brigham Young University in 1973. He owns a number of businesses in his native Samoa and served as president of Tuna Ventures, Inc., and Tropical Beverage Distributors, Inc. He has also been involved in philanthropy work for the Haleck Foundation. Since joining the Church in 1966, Elder Haleck has served in numerous Church callings, including full-time missionary in the Apia Samoa Mission, bishop, stake high counsellor, patriarch, stake president, and president of the Samoa Apia Mission. Otto Vincent Haleck was born in Utulei, American Samoa, in January 1949. He married Peggy Ann Cameron in June 1972. They are the parents of three children and have seven grandchildren. Elder and Sister Haleck recently relocated from Pago Pago, American Samoa, to Salt Lake City, Utah. Elder Ardern has served in a number of Church callings, including full-time missionary in France and Belgium, stake Young Men president, high counsellor, counsellor in a bishopric, bishop, counsellor in a stake presidency, president of the Fiji Suva Mission, and Area Seventy. Elder K. Brett Nattress was sustained as a General Authority Seventy of The Church of Jesus Christ of Latter-day Saints on April 2, 2016. At the time of his call, he had been serving as president of the Arizona Gilbert Mission. Elder Nattress served at Church headquarters as an area assistant in the Utah, Idaho, and North America Central Areas and as an Assistant Executive Director of the Missionary Department. 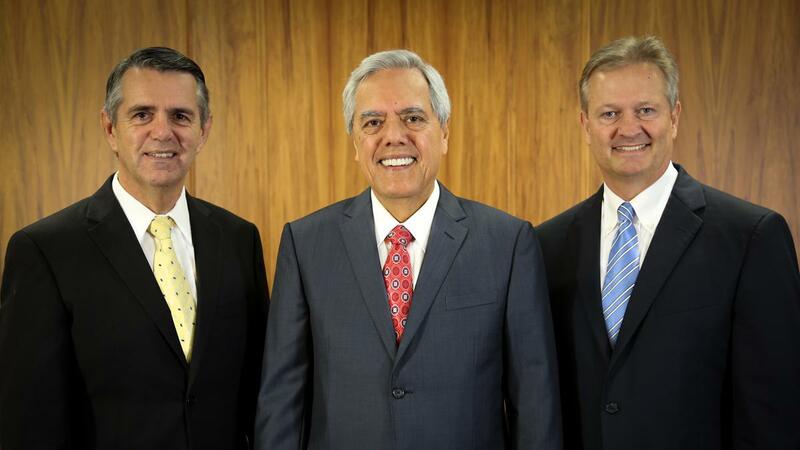 He is currently serving as a member of the Pacific Area Presidency. Elder Nattress attended Brigham Young University and received a bachelor of science degree in physical therapy from the University of Utah in 1990. He has been employed in healthcare administration as co-founder and president of Advanced Health Care Corporation beginning in December 2000. He was also the founder and president of Advanced Health Care Management, Inc.
Kevin Brett Nattress was born in Pocatello, Idaho, on March 4, 1965. He married Shawna Lee Adamson in April 1987. They are the parents of seven children.